When putting together a Bug Out Bag, people often focus a lot on what kind of shelter they can carry or what kind of ammo is the most plentiful and lightest feeling in the pack, but to be honest there should be one thing that is thought of before all other things: FOOD. That’s right, because no gun, tent, or super survival tactical tomahawk 9000 is going to do you any good if you don’t have the energy to use it. The challenge though is that we live relatively comfortable lives and don’t have to worry about carrying our food around with us, so when someone is putting together a BOB for the first time it can be confusing trying to decide what food to pack that can save your life, but also won’t slow you down. Foods that go in your B.O.B. are simply meant to keep your body fueled so you can keep bugging out to wherever you need to and that is it. Also, don’t expect your food to last you more than a few days, or maybe even a week if you packed right; the purpose of a B.O.B. is to get away quickly and effectively but realize that eventually you will need to restock if the timeline calls for it. So firstly, when you pack your BOB, these foods need to be decently high in calories and a good balance of carbs, fats, and proteins to keep your body as fueled as possible so you can keep going forward. Do not stress about eating too many calories because if you are bugging out you are going to be burning those calories off. Second, the food needs to be relatively lightweight, so don’t try to pack cans, but more on that later. Third, the food should have a long storage life in moderate temperatures, and if your BOB is kept in your trunk like many people do for driving in the snow then you need to make sure you rotate food out more frequently due to extreme temperatures, especially in the summer. Finally, pack things that are simple and do not require cooking of any kind. You are bugging out for a reason, and unless that reason is to go to a full functional kitchen don’t expect to cook. So there it is! Now look below for a list of 10 food ideas to put in your BOB so you can get up and keep going. Peanut butter is not normally considered a sustainable food source unless it is slapped on some bread with some jelly, but when bugging out it is almost priceless to have. It many not look like much, but it is packed with loads of calories; as well as fat, carbs, and a very decent amount of protein. Bug Out Bag peanut butter can be found in the form of little peanut butter cups, and most MREs come with a tube of just straight up peanut buttery goodness. 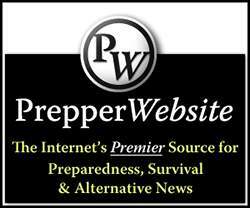 If one option had to be picked most preppers would suggest the MRE peanut butter packs due to their weather resistance, their ability to be slipped into a pocket, and the fact that they pack 240 calories. 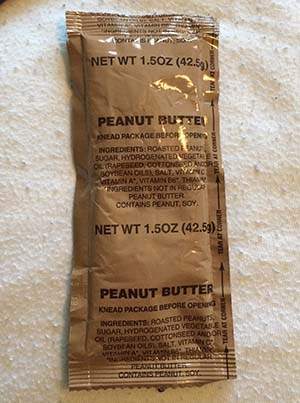 The peanut butter cups can be bought at any grocery store, and the MRE peanut butter packs can be found in most MREs, and can even be bought by themselves on Amazon and other surplus websites. If you have access to hot water while you are bugging out then you have to at least consider taking along instant rice or mashed potatoes, as both are great filler foods that will keep your stomach feeling stuffed and satisfied. A lot of people don’t think about these two items since they usually come in big packaging, or awkward to pack to-go containers, but you can fix that. All you need to do is separate portions into small sandwich bags for optimal storage, and then all you need is a dedicated bowl to put them in and then add hot water and wait. If you don’t want to carry a bowl around they ahave collapsible bowls now or even a small Tupperware container. You can mix both of these things with other food items like beef jerky, emergency ration bars, and foil tuna or chicken for a great tasting meal, and the best part is that their shelf life if stored properly, is years upon years if kept dry. 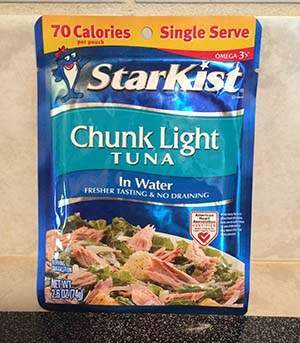 Cans of tuna and chunk chicken are very well known for being a great food to put down in any home shelter or bunker due to storage life, but the heaviness of the can makes it impractical for packing in a BOB, but fear not. Luckily we live in the 21st century, and here in the modern age, we have put tuna and chicken in very thin foil packets that you can tote around in your own pocket that makes them the perfect size to fit into a side pocket of your bag and easily carried. These two different kinds of storable meals will help provide you with a decent dose of healthy fats and will give you the protein boost you want out of a good dinner meal, and they make a great stir in items to any bigger meal. The great part about the foil packets is that not only are they slim, but they offer the same long life as the cans, so your tuna and chicken are good for up to 2 or 3 years depending on when you bought it. Definitely worth browsing next time you are at the grocery store. 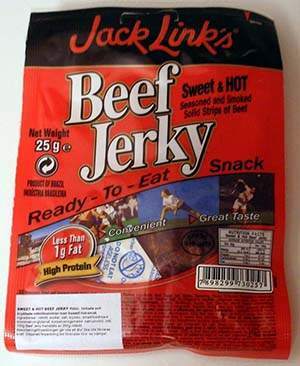 Beef jerky kind of seems like it was just created to go into any kind of BOB right? Think about it, its dried out food with a long shelf life that comes in a sealed bag that has a silica packet in it to keep out moisture. While it may not have been made for the prepping community it would seem wrong to not have at least one bag of beef jerky in a BOB. Jerky may lack carbs and a large amount of fat, beef jerky is a straight shot of delicious meaty protein for your muscles, which will be working in some manner if bugging out, so you are going to need that boost. With so many different flavors out now it is hard not find a flavor that will suit you in some way or another, and it can add flavor to your bland bug out meals. One of the best things about jerky is that an unopened package can last 2 to 3 years in your pack, and can be bought in pretty much any store or gas station you walk into, so its easy to resupply if needed. While maybe not the healthiest option, chocolate candies like Tootsie Rolls offer a good blast of carbs and fats to help fuel your body, and PAYDAY bars even throw in a decent amount of protein. It is great to have sugary candies in your pack if you have someone bugging out with you that is diabetic or hypoglycemic so that you can raise their blood sugar in the even that they let it slip too far down, which can cause serious health concerns. When it comes to weather resistance both do well in the winter months, but Tootsie Rolls are much better suited for the hot summer months, which is why soldiers in World War II so wildly carried them. Just be sure that you pick up the long Tootsie Rolls and not the mini ones to conserve space, as well as making sure to rotate out any candy as it expires or accidently melts. 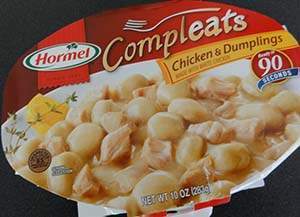 Hormel Compleat Meals are just what they sound like, meaning that they are meals that have already been cooked and sealed in a small plastic bowl. The bowl itself makes the meals a little bulky for a BOB, but they are not the biggest meal-to-go that you could put into your pack. These are a perfect solution for people who really want ready to eat meals in their BOB, but also want some decent flavor in their bugging out experience. You can microwave the meals for heat, but it is not necessary and they taste just find cold. Also, because the meals were not aimed at the prepping community it is probably best to keep them out of the car and in a location with A/C, but other than that they have a shelf life of months without refrigeration. Emergency ration bars like ERBars or Mainstays emergency rations are excellent additions to any BOB. The actual food itself is just a small block of what looks like corn bread, and while a pretty plain meal, each block will supply you with hundreds of calories. Each package is capable of feeding a full-size adult for three days, has a shelf life of five years, and can withstand extreme temperatures. It is no gourmet meal, but it will keep you full and it will give you the energy you need to keep bugging out. 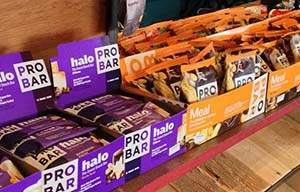 Also, the bars can be eaten without causing you to feel thirsty afterwards as they are formulated with anti-thirst technology. If you are not overly worried about how much space your food takes up in your pack then freeze dried meals like the Mountain House brand are a great choice for any BOB. They are only one meal, but it is a meal that will fill you up and keep you going, and they don’t taste half bad. They are much more appetizing than MREs, but can only be eaten if you have a source of hot water such as a hiking stove. 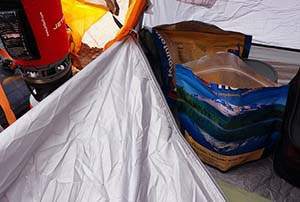 Many people who have multiple BOBs will put freeze dried meals in one bag and carry the hiking stove in the other to conserve space and weight. The biggest benefit of freeze dried meals is that unlike MREs, these meals can be found at big box retailers like Wal-Mart for a decently competitive price. Meal replacement bars such as Clif Bars, Pro Bars, and Power Bars are specifically designed for people on the go, and work great for bugging out, even if preppers were not the original audience the products were designed for. These bars are chock-full of carbs, fat, and protein to keep you going, and often have added minerals and good sources of fiber, which will help keep you feeling fuller for a longer period of time. They are relatively small and usually have an average shelf life of one year, but many hikers and athletes have noted that the bars still taste just fine at the two-year mark. Still, make sure to keep an eye on the date once a year and rotate them out as needed or desired. 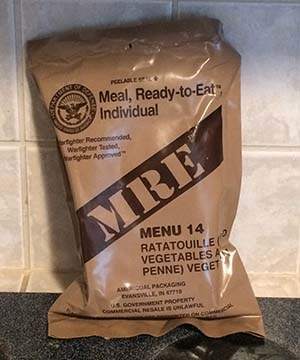 MREs are probably one of the most recognizable food sources for a BOB in the prepping community due to the fact that they fuel the US military for weeks at a time, and are capable of being stored for long durations. One major downfall to MREs is the fact that they come in a big bulky package, as they hold multiple food items. One solution though is to only take the entrée portion of the pack like the one shown below, as they often have lots of calories and a good balance of nutrients packed into a small thin box that comes with a water-activated heater. The only downside is that they can usually only be found reliably online, and often times you don’t know which ones you are getting until they arrive. Still, there are some companies like mealkitsupply.com that lets you order a box of MREs and you get to choose which ones you get. 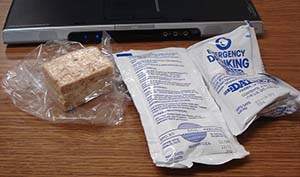 In order to protect emergency foods from the high heat of a car parked in the sun in the summertime in the southwest, I wrap the emergency ration such as SOS bars in multiple layers of newspaper then place it in a styrofoam chest before placing it in the car. I place the expiry date on the outside of the newspaper package. I opened a pack of SOS bars eight years after they had expired. I ate a couple. To me they tasted like they did when I packed them away. I have no way of knowing the food value of the bar after that long, but at least I would not have been hungry. Styrofoam is great. It is light weight, it is cheap and sometimes free when you order perishable food on line. It helps modulate the temperature of the item inside. Personally I like to add Pickled eggs made in a Gallon Glass Jar in the refridgerator repacked into clean peanut butter jars! Protein plus the vinegar is sterile liquid that can be drank as an anti inflammatory or to clean minor wounds! There’s a kid who makes YouTube videos you should watch if you’re interested in bushcraft/hiking/bugging out. His YouTube name is thegods1marine. When he hikes he takes a gallon-size plastic bag with a mixture of rice, beans and spices. A cup of this dry mixture swells into about three cups when cooked and is very lightweight. 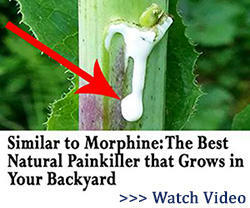 I would add one of the pouches of chicken mentioned in this article for flavor. You can also get salmon in the same type of foil pouch. I used to see smoked ham and ground beef pouches also but I haven’t seen them in a while. The good thing about these pouches is that they leave out most of the water. 5. A minimum of four quarts of water; preferably eight and water purification tablets. 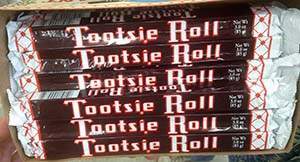 Recommend the Pay Day over the Tootsie Rolls. As the sugar wears off the peanuts are just starting to kick in. you still need a 1st aid kit. ace bandage, roll of tape (blk,wht, masking) snackpackbagie w/qtips,1 needle w/thread, small sharp pocket knife w.stone, 1 or 2 KOTEX cut in half (battle dressing). (20 ft paracord,monkeyfist style) any other choices, you deem needed. it will all fit into a leg patch packet. 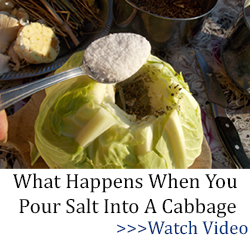 This article was on Food. IMHO, there is a lack of focus in this article, and many similar articles. What is “bugging out”? I take it to mean going from an unsustainable place to a sustainable place where you have water, food, and other supplies, and doing so during a time when others are trying to do likewise. You want to do this as quickly as possible for various reasons, including a need to exit an unsafe area, limited resources in the bug out bag (for weight reasons), people may become more violent as the days go by, and your safe destination may need defending or preparation work. While moving, you want to avoid attention. This rules out fires (which give off smoke) and stoves (which are generally noisy and add weight). And both waste time in meal prep which is better spent walking (or driving if your vehicle is functional and not blocked). Cooked food gives off odors which will attract the hungry. Since you might be forced to walk, you want the lightest pack possible that will provide you with what you need to stay hydrated, fed, and protected from the elements. And little more. My experience with long distant hiking says minimize cooking if you really want to get there quickly. So foods in the bugout bag should be limited to things that you can eat on the road, do not melt easily and do not require utensils or cookware. Peanut butter, nuts, GORP, lifeboat-style rations, hard candies, various bars, and jerky are examples. 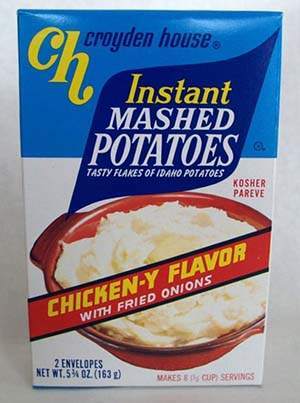 In the above article, instant rice, mashed potatoes, and freeze dried meals require cooking. Hormels Meals and MREs are not nutrient dense (they are heavy for the amount of nutrients; almost as bad as canned foods). 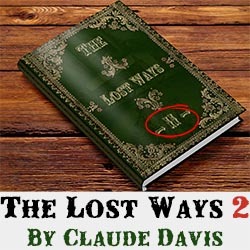 If you are preparing a backpack to go off into random woods to survive off the land, then you are dead meat unless you have years of experience. A bug-out situation is different. You have an prepared objective, such as your home, a cabin the the woods, or Uncle Jake’s farm. Your BOB’s only function is to get you there. Thank you for this well thought out advice. We seniors need to go as light as possible. That’s one idea for a bug out bag, but there are many different ways to look at a bug out bag. 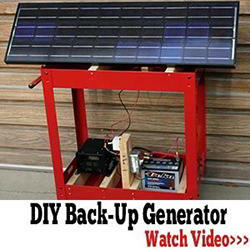 What if you need to travel for multiple days to reach your bug out location? What if your bug out location is compromised and you can’t go there? 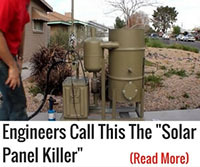 What if you don’t have a bug out location, but you know you can’t stay in your home? These are all things that people need to take into consideration when putting together a bug out bag. What works for one person won’t necessarily work for another. If you need multiple days to get to your bug out location, then what I said about the foods to select is all the more important. Likewise if you get to Jake’s and you have to keep going. Food is your primary limitation. (I am assuming that you have a life straw or equivalent for water.) You should carry a little more than you expect to need, as things go wrong. But heavier food and taking time to cook means that you will take longer to get there, which means that you need even more meals to make the journey, meaning heavier yet. And more likely that your cabin in the woods will have been taken over by others before you get there. Of course you should have a few small general survival items with you, such as matches and a pocket fishing kit. But I believe that the focus of a BOB should be getting from an unsafe location to a safe one. If your objective is to live in the woods, then you need a significantly different pack. My take on this BUG OUT BAG is pack what you think you need. Just because you have a safe location to bug out to, does not mean things will not get worse on your way. Say, some group of hungry people got to uncle Jake’s farm and looted and burnt it. 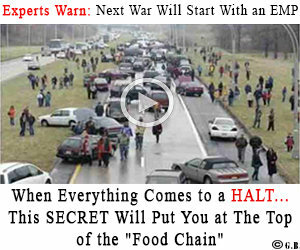 Now what?maybe you thought far enough in advance to have one or more alternate safe locations. On to the next site, but now your in deep Do Do, only packed enough to get to uncle Jake’s. Bottom line, plan for the worst, hope for the best. Pack as much as you can carry, keeping in mind if your not used to physical labor, you’re going to wear down fast. One more point, I would stick to basic meals, and go lightly on comfort food. Pay attention to your needs, calories, protein, carbs etc.Packets made up with beans and rice with foil packets of tuna or chicken, may seem boring, but to a hungry person it is a gourmet meal. MREs are expensive. I looked them up. I make a slightly softer hardtack for mine. I cook it just enough to cook it but not long enough to be able to build a house out of it. Tastes good and gives good energy. I have a BOBox in my garage with the first item a large overnight empty bag if I should have to travel without a vehicle. I can take from the box what I think I will need…Also I have a plastic bag( the kind you can hook up to your vacuum) with a change of clothes, socks, underwear. The items stay dry and compact until needed. I keep a small pack of baby wipes and antibacterial hand wipes (wet ones) to help with staying clean.